What are Amsterdam's best events that are organized? Best Events: Amsterdam is at its most magical at this time, with the New Year festivities around Dam Square and the Prinsengracht, skating on Leidseplein and Museumplein, and the Amsterdam Light Festival. Bridging the seasons, the 5 Days Off electronic music festival hits the clubs in early March. 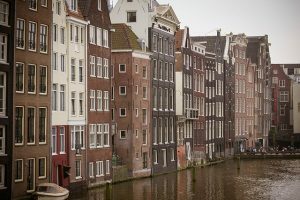 Everyone loves a birthday, and the King’s Day on April 27 sees two days of street parties, a flea market, stalls and an excess of orange outfits, with the Old Town becoming a temporary car-free zone. The popular Holland Festival kicks off the start of summer with new works of music and other arts, in a month-long jumble of styles, while July’s four-day Roots Festival ends in the open-air surroundings of the Park Frankendael. At about the same time, you can watch theatre in the sunshine at the ten-day Over het IJ Festival, around the NDSM shipyards in Amsterdam-Noord. Catch the city’s Gay Pride celebrations from late July into August. Don’t miss the Drag Queen Olympics, or the Pride Parade on the water (first Saturday in August). Shed your inhibitions at the Hartjesdagen Zeedijk over the third weekend of August – with its origins in medieval times, it now features street theatre, a transvestite parade and all manner of dressing-up. Classical music sounds around the canals for ten days during the well-known Grachtenfestival in mid-August. Musicians perform in parks and gardens, with the most eagerly-awaited event being a free performance on a floating stage on the Prisengracht. Finish the month at the Uitmarkt, which allows theatres to preview upcoming shows outdoors, and includes some big concerts. Electronica returns for October’s Amsterdam Dance Event or ADE, involving one hundred and forty venues over five days and nights. Pass November at the International Documentary Film Festival, or at Museum Night, before winter returns with Saint Nicholas and his December parade, distributing gifts and sweets to delighted children. Staying centrally need not cost a fortune. Choose a good hostel, such as Sarphati, and you will have comfort and convenience at a reasonable price.